Here is a beautiful man bust designed to highlight your apparel. 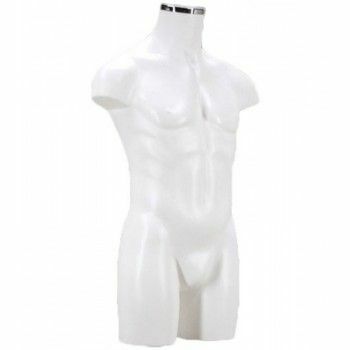 Polyethylene, this man bust is very light and therefore easy to handle and dress. Without head or arms, there is also provided without basis. It holds himself up on a flat surface. In addition, it is currently available in delivery. This wonderful man mannequin bust fits all types of window. So, we are at your disposal for any questions about this man bust. 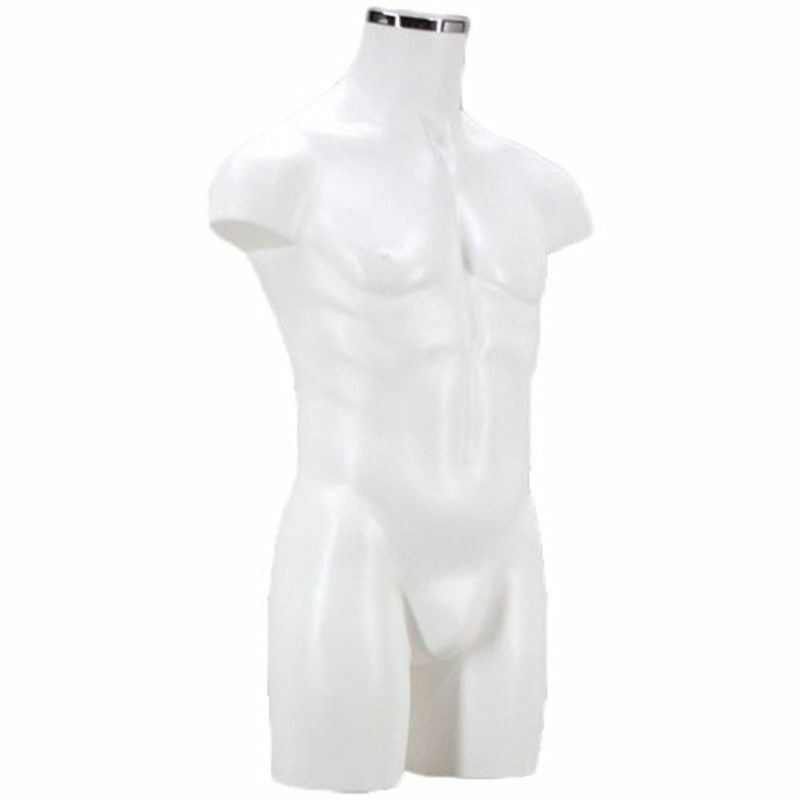 Polyethylene magnificent bust man does not have an attachment or base. This bust dimensions are 13 cm to the height of the thighs, a shoulder width of 97 cm, a waist circumference of 78 cm and 97 cm hips.